Stephen Lord at the 2019 National Opera Association conference in Salt Lake City. Photo by Richard Poppino. 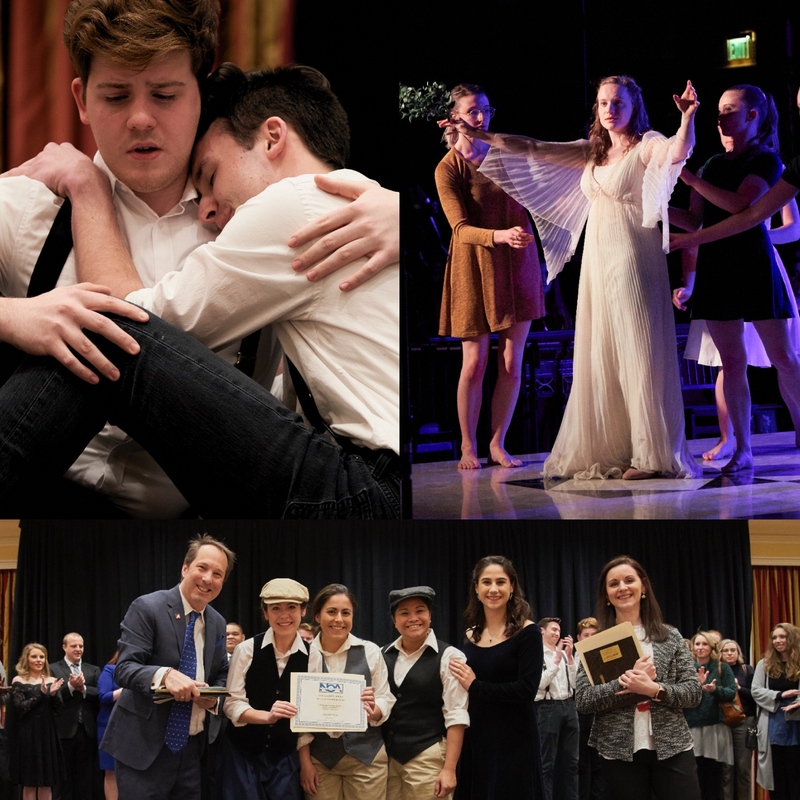 Last week’s National Opera Association conference in Salt Lake City was filled with informative sessions, vocal and scenes competitions, their biannual one act opera competition, and achievement awards for Harolyn Blackwell and Stephen Lord. 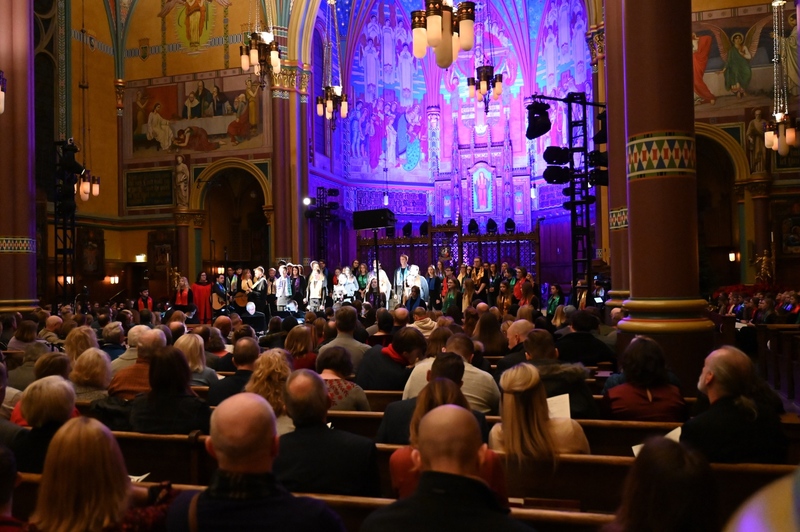 Naamah's Ark (Michelson/Vavrek), presented by Southern Utah University at the National Opera Association, 2019. Photo by Robert Breault. The conference is a wonderful place to share information about new works. All three operas in the Chamber Opera Competition had more women than men in them, a very positive step. Evan Mack and Joshua McGuire’s The Ghosts of Gatsby won the competition, but both of the other works by Sky Macklay and Tony Solitro had many strong points - all three will have a future. Composers Jennifer Bellor, Cynthia Wong and Linda Lister have achieved extraordinary new-work synergy at University of Nevada Las Vegas. How do you produce standard repertory classics when the music history class down the hall is condemning their plots for their racism and misogyny? The 2019 National Opera Association conference. Photos by Richard Poppino. There was lots of serious discussion in panels and in the bars afterwards about the challenges of producing opera’s with off-putting historical stereotypes on the one hand, and easily triggered students on the other. Wither Madame Butterfly? The Mikado? Don Giovanni? How do you produce standard repertory classics when the music history class down the hall is condemning their plots for their racism and misogyny? No definitive answers yet on this front. On the other hand, there seems to be lots of awareness and willingness to include women and people of color in important roles, both onstage and off. 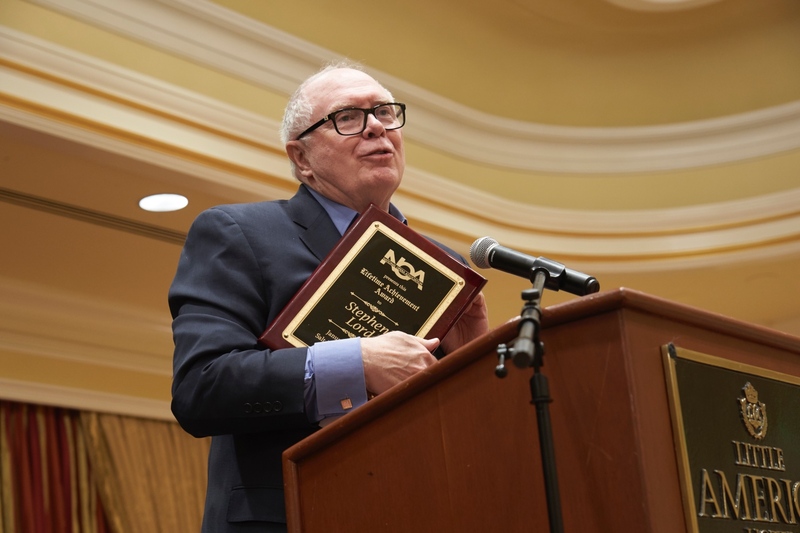 Stephen Lord at the 2019 National Opera Association conference. Photo by Richard Poppino. Harolyn Blackwell received the “Lift Every Voice” Legacy Award. She is clearly a shining example of a singer who excelled in both opera and musical theatre. The number of “you mustn’t do both” types is on the decline. Maestro Stephen Lord accepted a Lifetime Achievement award with a speech that was a model of positivity and hope for the aspiring performer, which really was the vibe of the whole conference. Next year, the conference will be in January in Cleveland, a location accessible to many in the US and Canada. Talking with singers: Jared Bybee Charlie Siem: "Music is about sharing and healing."